6:30 p.m.Mad River Writers: NCCC students and community members with faculty poets Kateri Kosek and Jim Kelleher. 6:30 p.m. Poets Frederick-Douglass Knowles and Jennifer Gill O’Neil read. Reception follows. Books will be available for purchase and signing. Frederick-Douglass Knowles II is a poet, educator and activist involved in community education. He is the inaugural Poet Laureate for the City of Hartford. 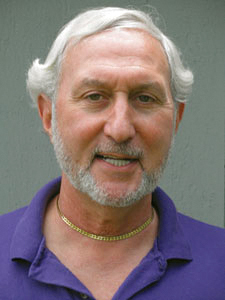 His works have been featured in the Connecticut River Review, Sinkhole Magazine, Poems on the Road to Peace: A Collective Tribute to Dr. King Volume 2. Peabody Museum of Natural History by Yale University Press, The East Haddam Stage Company of Connecticut, The 13th Annual Acacia Group Conference at California State University, Folio –a Southern Connecticut State University literary magazine, Lefoko –a Botswana, Southern Africa Hip-Hop magazine, and Fingernails Across the Chalkboard: Poetry and Prose on HIV/AIDS from the Black Diaspora by Third World Press. Frederick-Douglass is currently an Associate Professor of English at Three Rivers Community College. His collection of poetry, BlackRoseCity was featured at the 2018 Association of Writers & Writing Programs (AWP) is available at Barnes & Noble UCONN Bookstore Hartford and on BarnesandNoble.com. January Gill O’Neil is the author of Rewilding (fall 2018), Misery Islands (2014), and Underlife (2009), published by CavanKerry Press. She is an Assistant Professor of English at Salem State University, and Boards of Trustees member with the Association of Writers and Writing Programs (AWP) and Montserrat College of Art. From 2012-2018, she served as Executive Director of the Massachusetts Poetry Festival. A Cave Canem fellow, January’s poems and articles have appeared in The New York Times Magazine, the Academy of American Poets’ Poem-A-Day series, American Poetry Review, New England Review, Ploughshares and Ecotone, among others. In 2018, January was awarded a Massachusetts Cultural Council grant, and was named the John and Renée Grisham Writer in Residence for 2019-2020 at the University of Mississippi, Oxford. She lives with her two children in Beverly, Massachusetts. 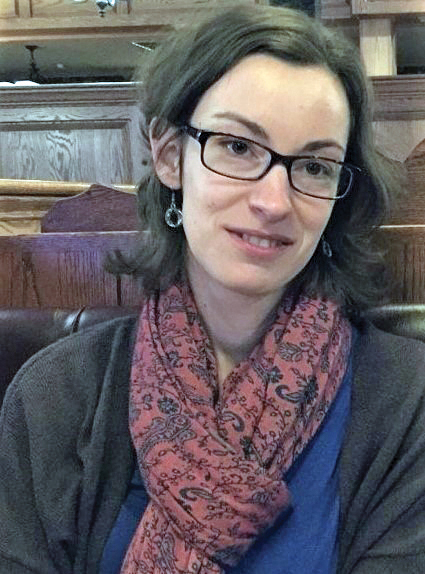 In addition to teaching English at NCCC, Kateri Kosek mentors in the MFA program at Western Connecticut State University, where she received an MFA in creative writing. Her poetry and essays recently won contests at Creative Nonfiction and Briar Cliff Review, and have appeared in such places as Orion, Creative Nonfiction, Catamaran, Terrain, Northern Woodlands magazine. Sponsored by the Center for Teaching, the English Department, the Student Senate, the Cultural Planning Committee, and funded by NCCF and the Peggy Andl Fund.